Today I'm feeling rather blue. Yes granted, not only because the majority of today's colour palette is blue, but also because its been a very depressing month so far; full of far too much rain! I've been struggling to find a moment to take some outfit shots outside when the heavens don't look as if they're about to suddenly plunge open. What ever happened to sunny August? This is clearly an outfit for a (odd) summer's day. I'm thrilled with my new cross-over pool sliders from Shoezone's truffle collection. If you like to get more 'bang for your buck' when it comes to footwear, there's definitely some shoes waiting for you at a bargain price. I love the sports luxe trend and these comfy casuals are great to just slip on and off whenever needed. 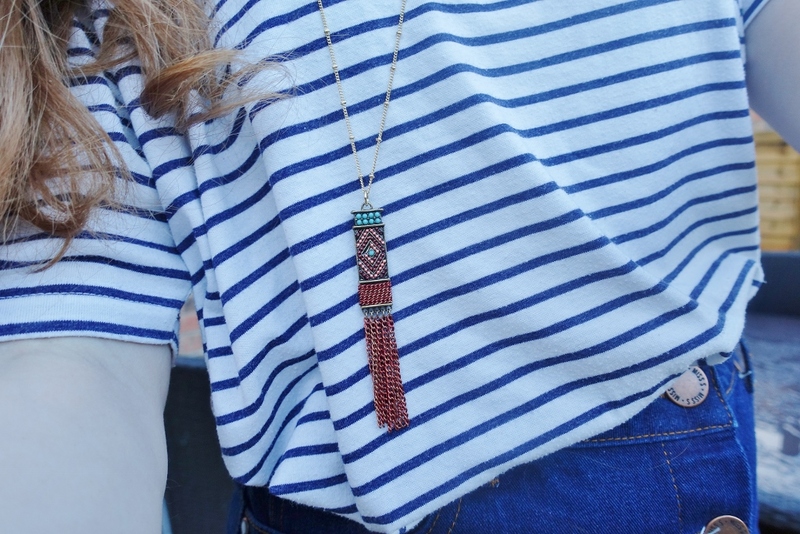 Plus this jewelled tassle necklace, not only compliments my outfit and topshop nautical stripes, but literally arrived, with a great deal of happiness! (excuse the pun on the brand). It's always a lovely touch when you feel your purchase has been given that 'personalised' touch - even more so when your 'Happiness Boutique' package is delivered on such a miserable day. 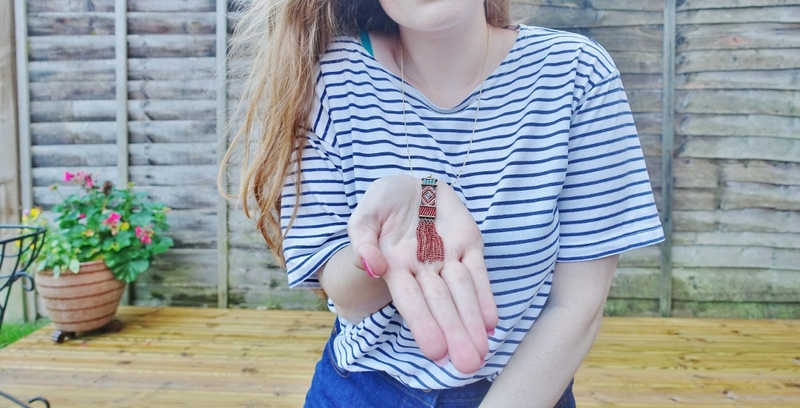 If you like jewellery with a bohemian rustic charm, its worth checking them out (the necklace is linked above) - plus the shipping is free and you can pick up customer reward points as you go, so you know your purchases aren't going unrecognised. I love the style and the fit of this top! 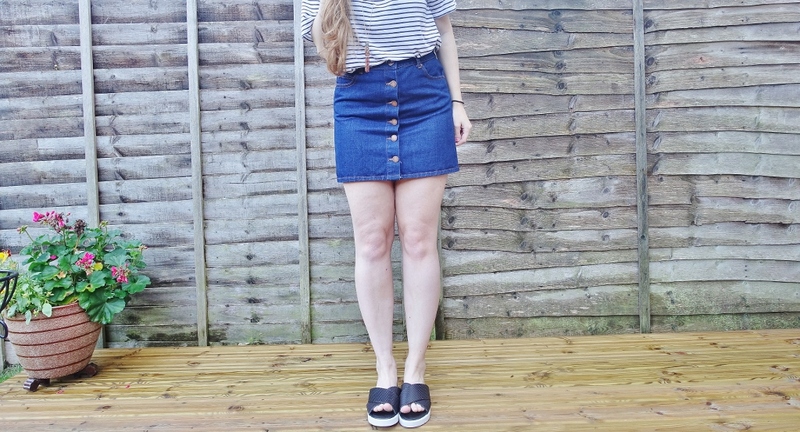 You can't really go wrong with stripes either - I love them!